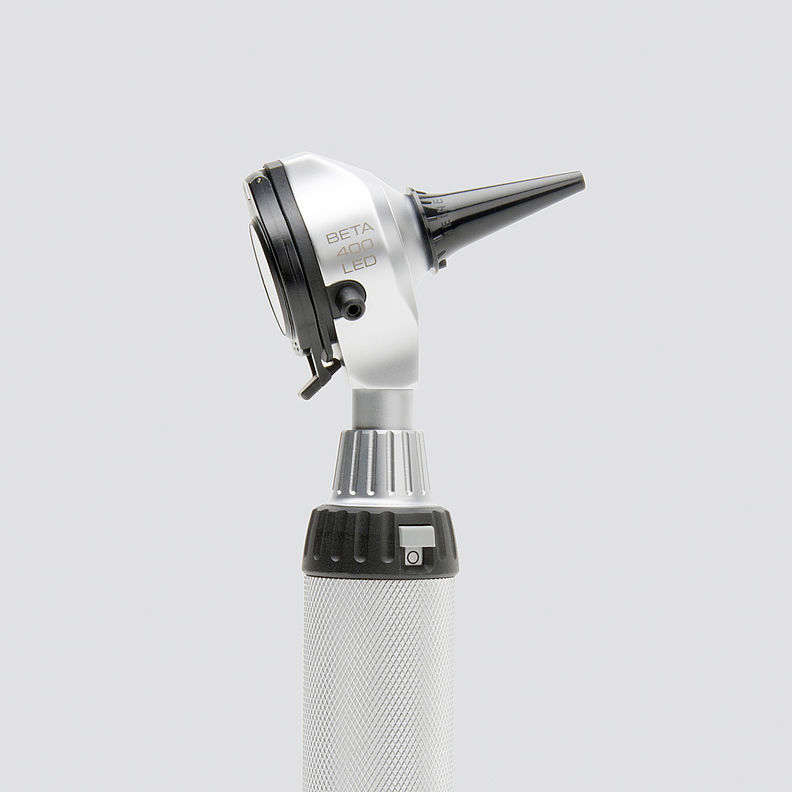 The otoscope has been designed with an all metal housing and a scratch resistant glass window which guarantee a lifetime of maintenance-free use. LED with virtually unlimited hours of working life (up to 100,000 hours). No need to ever replace bulbs. Maintenance-free for a lifetime. Exclusive 4.2 x magnification. More detail of anatomical structures and easy recognition of foreign bodies. Exceptional depth of field. Provides sharp spatial images in a convenient working range. Large field of view. Gives the necessary overview and perfect orientation during examinations. Multi-coated precision optics. Offer high resolution and distortion free images. Fiber Optic Illumination. Ensures homogeneous, very bright illumination and an unobstructed view of the ear canal and tympanum. LED in HQ: The new standard in LED illumination defining optimal light intensity, homogeneity and colour rendering for the most accurate diagnosis. Red is red, blue is blue. Colour temperature: 3,500 K, Colour Rendering Index (CRI) > 97, special index for red colours (R9) > 93 on a maximum scale of 100. Special optical interface to precisely integrate the LED illumination with the optical system to ensure bright (77,000 lux with tip), homogeneous light during examinations. Exclusive continuous brightness control between 100 % and 3 % (patent pending) with one-finger operation. One hand operation. The unique patented design allows the permanently attached optical system to be flipped open and out of the way, enabling instrumentation and ease of cleaning. Integrated insufflation port offers tympanic mobility testing without air leakage. Full functionality of the BETA400 LED is guaranteed with BETA Recharcheable Handles and the EN100 and EN200 Wall Transformers.